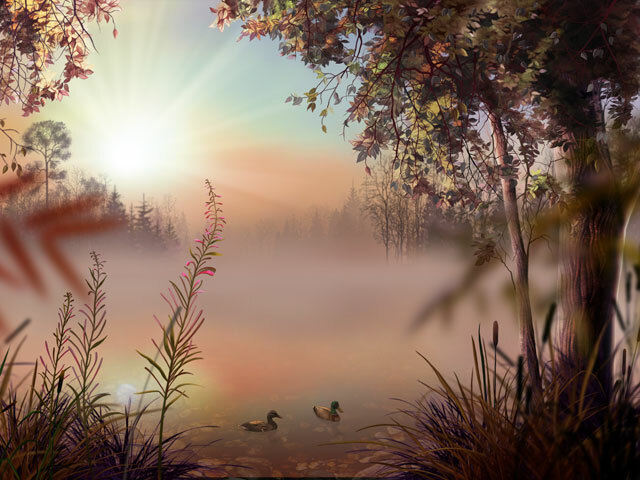 Make your desktop a lookout over a hazy lake, beautiful in its morning serenity. The nature is awakening, accompanied with musical sounds. The calm water surface reflects the rising sun, shining gently through the mist, and wild ducks paddle by the side of a lake. The air is filled with tranquility and soft fragrance of flowers. In the middle of the lake, half-hidden in the haze, there is a still fish-boat. Fog Lake - the screensaver for you.